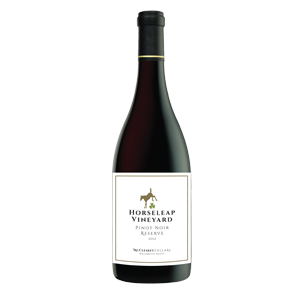 Benefitting from a sunnier, warmer growing season than usual, the 2012 Horseleap Vineyard Pinot Noir is a ripe, bold but elegant Pinot Noir. 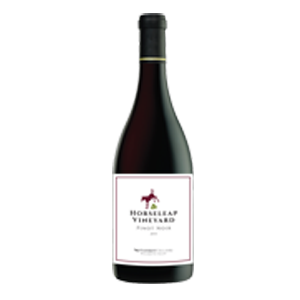 This earthy, complex and flavorful wine exhibits aromas and flavors of cherry and cocoa with a hint of rose petals and forest Floor. The unique growing season of 2012, produced wines with higher alcohol levels than usual. 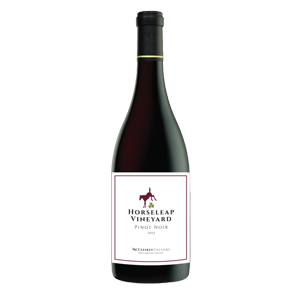 As a result, this wine at room temperature has a long peppery finish, however, drunk at 65 degrees the wine has a mild black pepper finish that is elegant and amazing. This is a truly magnificent wine that should not be missed. Pair with cheddar or Edam as well as most grilled meats except game. A grilled salmon dish would go great with this wine.